Mr. Valls was the co-Founder and CEO of Dadata Capital. Miguel has been the co-founder, investor and advisor to biotech companies Genotesta, Clear Labs Base Health, SmartSea, Spirit Films and Nektria. Miguel is also the co-founder and co-chair of the San Francisco-Barcelona Sister City Committee and Technology Advisor to the Barcelona and Spain Chambers of Commerce. He created the International Technology Forum in 2007, the first program to bring Silicon Valley investors to Spain. 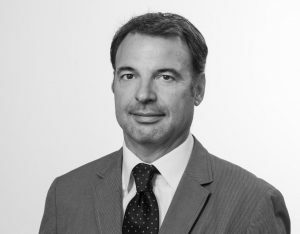 Mr. Valls also has extensive experience in Derivatives (Siaga A.V.B) and Money Management (Barclays Private Banking, BNP-Paribas Private Banking). Mr. Valls holds a Bachelor in Law from University of Barcelona, (Barcelona, 1986-1992) and an Executive Education Degree from University of California, Berkeley (2009). He also has the following certifications: European Financial Advisor (EFPA) (2002), Derivatives Broker-Dealer (MEFF) (1995), European Financial Analyst (EFA) (1994-1995) and Technical and Chartist Analyst (IEF).